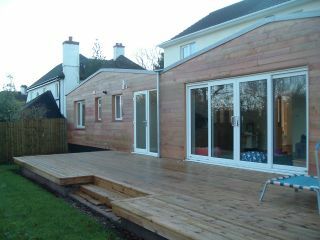 A new ground floor extension and a side first floor extension was proposed in this project. 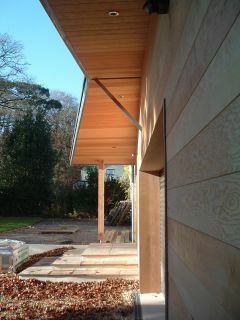 The ground floor extension was cladded externally with douglas fir tongued and grooved boards and roofed with double seam zinc sheeting. The roof, flushed with the walls at the rear is extended at the front to create a canopy and a covered area opposite the main entrance. 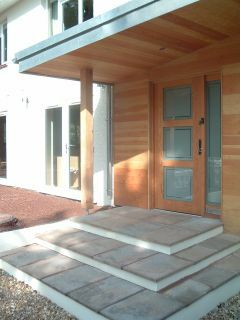 The entrance is re-enforced with a timber column, which not only acts as an structural element, supporting the canopy but also creates an architectural accent at the front.